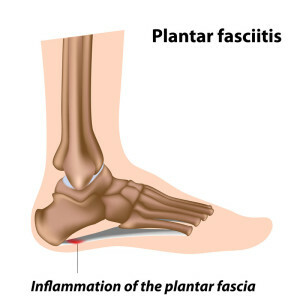 Plantar fasciitis is an extremely common foot and ankle problem that involves inflammation of the plantar fascia. This is a structure on the sole of the foot which can be very difficult to treat when inflamed. The fascia is a big band of connective tissue that originates on the bottom of the heel and extends along the bottom of the foot towards the toes. Approximately 2,000,000 people in the US every year suffer from plantar fasciitis and over a person’s lifetime, about 10% of individuals suffer from the condition. It is typically due to overuse in middle-aged individuals, and there is a higher incidence in those who have a body mass index that is over their ideal number. Plantar fasciitis is usually not a difficult diagnosis to make. Patients report pain on the heel of the foot with standing and walking. X-rays are usually not very helpful, and they may show a heel spur. 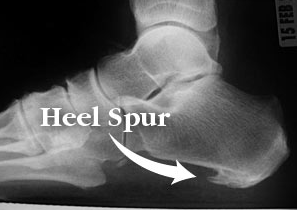 A heel spur is not a source of heel pain. have been created as a result of the condition, but it is not the source of the patient’s discomfort. One condition that plantar fasciitis may be mistaken for is pain on the ball of the foot, which is called metatarsalgia. This involves inflammation of the capsule around the metatarsal joints. Another consideration is achilles tendonitis, which involves pain more on the back of the foot where the achilles tendon inserts into the heel bone. Treatment options for plantar fasciitis with a Phoenix workmans comp pain doctor include resting the area, stretching the plantar fascia and Achilles tendons, night splints, physical therapy, heat and cold therapy, shock wave therapy, NSAIDs, steroid injections, and as a last resort – surgery. 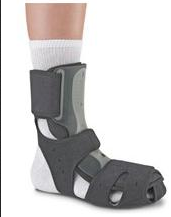 While there is no evidence to support the use of long-term orthotics in the foot, short-term may provide pain relief. Stretching the heel may offer significant relief. With a stretching regimen that is performed multiple times a day, pain relief may be seen for 2 to 4 months. Night splint can provide months of pain relief. It is advisable to undergo stretching first thing in the morning prior to getting out of bed. This includes stretching the plantar fascia but also the Achilles tendon. This can be done with a towel around the foot and pulling up gradually. Night splints keep the foot in a dorsiflexed position and improve the flexibility of muscles and are able to reduce pain on waking up. If a person who is experiencing plantar fasciitis wears a night splint, and then does the stretching in the morning, the pain with walking first thing in the morning can be greatly decreased or eliminated. Nonsteroidal anti-inflammatories may be helpful when the condition is present. There is a physical therapy treatment known as iontophoresis, which involves placing steroid on the skin and using an ultrasound tech device to have it seep into soft tissues. This can provide temporary pain relief and also help with function. Steroid injections into the area of heel pain on the plantar fascia may help reduce pain considerably. However, repeat injections may cause the plantar fascia to rupture, or the fat pad underneath the planter fascia may go away after injections permanently. So more than one injection is not recommended. Treatment with shock waves, known as extracorporeal shockwave therapy, as some evidence to back it up. Shock wave therapy is often tried prior to surgery, especially because it has minimal risk and there’s a chance it can help. Surgery for plantar fasciitis is truly a last resort option. The surgery involves a plantar fascia release, which does have potential for complications. One procedure that has been used recently to promote pain relief is radiofrequency ablation. A study in the Journal of Foot and Ankle Surgery showed excellent results with this minimally invasive procedure. If you are experiencing plantar fasciitis, or any heel pain as a result of an injury at work or a car accident, Arizona Injury Medical Associates can help you.